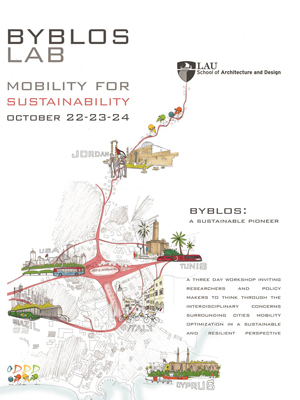 The School of Architecture and Design is hosting a three day workshop, Byblos Lab: Mobility for Sustainability, inviting researchers and policy makes to think through the interdisciplinary concerns surrounding cities mobility optimization in a sustainable and resilient perspective. 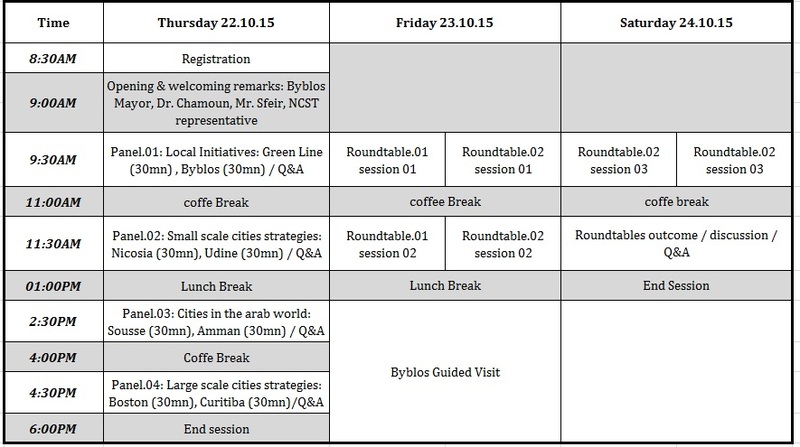 It will take place on October 22,23 and 24 in Byblos. The lab includes representatives from different cities that will present executed strategies and work in progress of cities sustainable transportation policies interventions and develop, via roundtables, guidelines for sustainable mobility and linkage strategies to be used by the labs different contributors. Beside the guidelines, the Lab will launch an international research networks and data bank to insure and support the cities development in the most sustainable and resilient appropriate way. All are welcome to take part in the workshop.